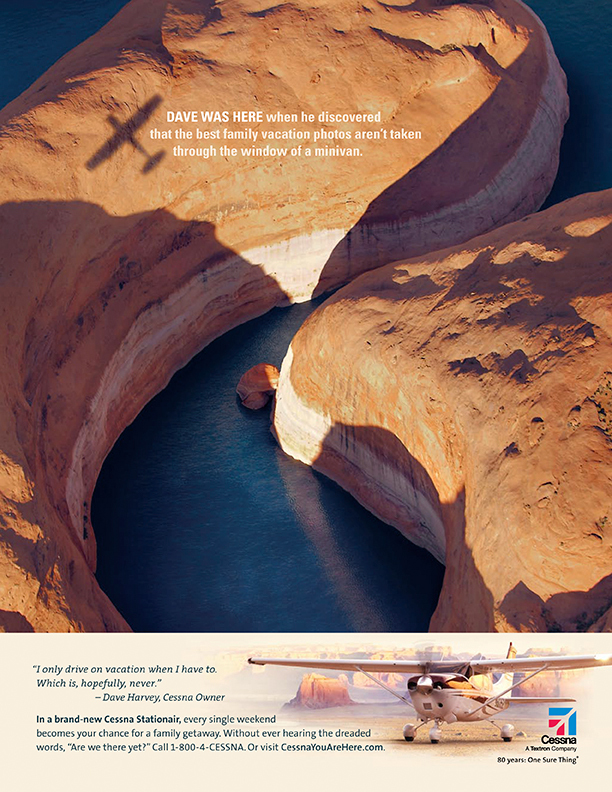 Oneyeland has chosen one of my images for “Picture of the Day” view here , the image of a boat traveling through a canyon on Lake Powell near Page Arizona. We had a helicopter for 1 1/2 days and covered a lot of ground ( Air ) In Southern Utah and Arizona. Standing on the landing gear hanging out of a helicopter is an outstanding ( No pun intended ) way to see this stunning location. I used a Kenyon Gyro to stabilize the camera. The great thing about helicopters is you can stop when you see something interesting unfolding. That was the case here as I waited for the boat to get to just the right place. 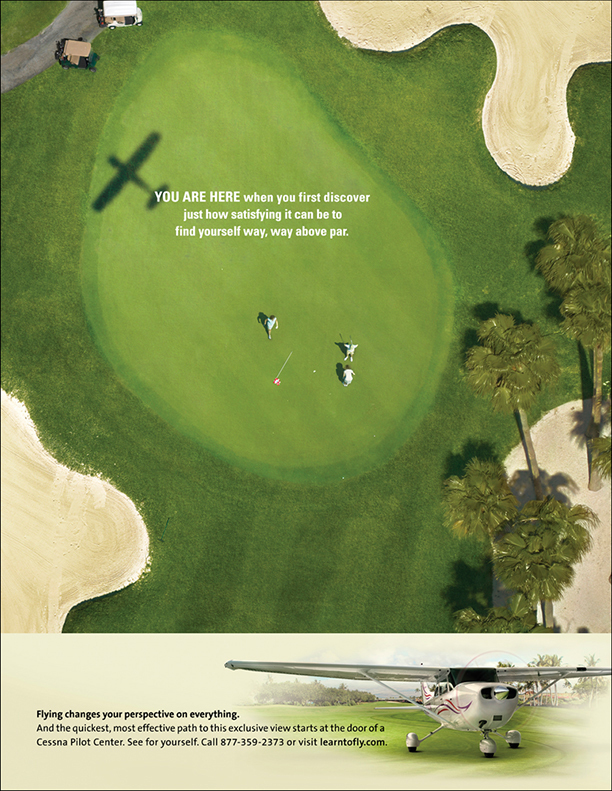 Images from this trip were used for the award winning Cessna “You are Here” print Campaign. 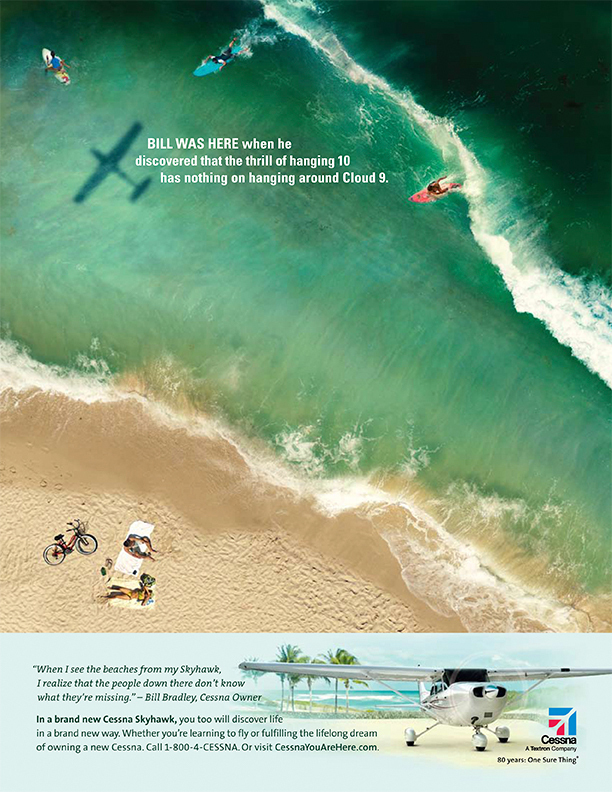 Ad Agency Sullivan Higdon & Sink came up with the clever concept that the shadow of a plane looked like an X on the ground. 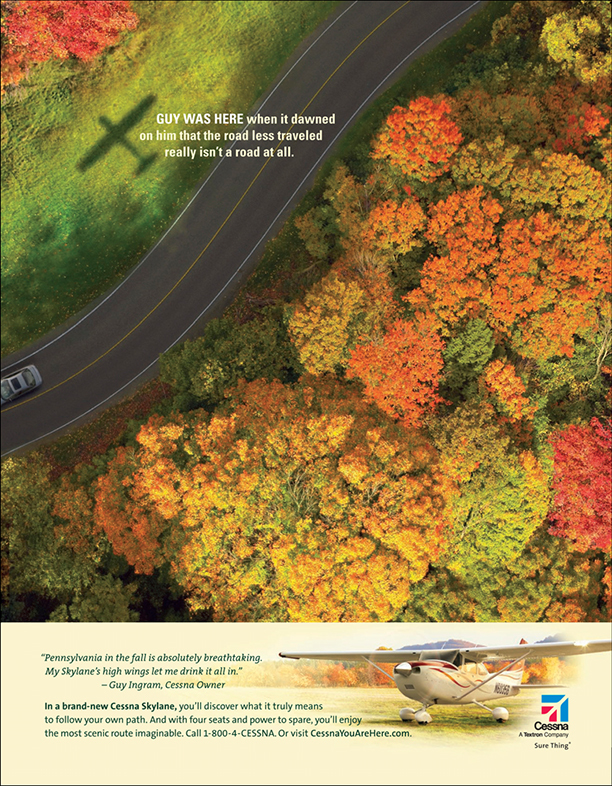 In each ad the X marked the spot where the pilot had an epiphany about the joys of flying. 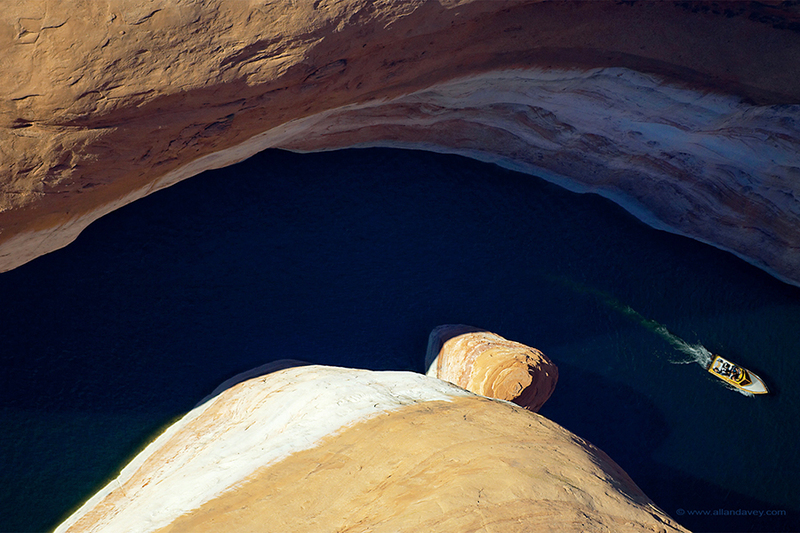 We used shots from numerous aerial locations which I also photographed from a helicopter. Shooting straight down is one of my favourite vantage points. It gives an abstract feel to just about any situation.